Note: There is no way to write this review without spoilers from the first book. 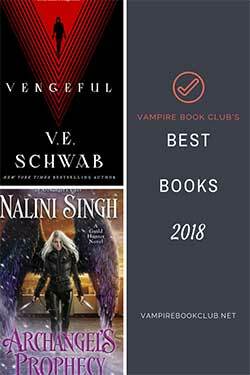 If you haven’t read Nightshade, please read the VBC review of that book instead. Trust me. But I promise not to spoil Wolfsbane at all. 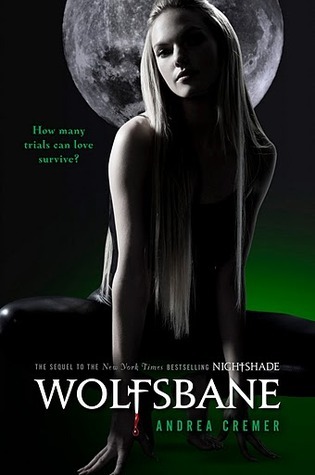 Wolfsbane picks up quickly after the crazy WTH moments at the end of Nightshade. (Really, if you haven’t read the first book, you’ve been warned.) Calla finds herself at the Searchers’ HQ. They want to use her to help make an alliance with her pack. The only person she knows in this den of the enemies is Shay. He’s trying to protect her — which is a whole other issue — and is skeptical about just how the Searchers will treat Calla. Then she has to deal with Shay. She loves him, but can’t stop thinking about those final moments with Ren …and that kiss. She still wears Ren’s ring. Can she really be with Shay if she remains so connected to Ren? The Team Shay readers (like myself) will love seeing him step up — he wants to protect her (though she can handle herself), he wants to fight to be with her, he wants her to have freedom. The romance between them will give you butterflies, but is far from graphic. Don’t worry, Team Ren, Calla is very conflicted and though Ren doesn’t play a major role in this novel, he’s always on Calla’s mind. Worth noting is Cremer’s prose is once again beautiful to read. 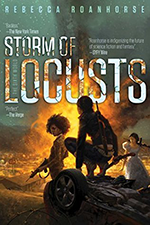 Her descriptions of the Searchers’ academy walls, the kisses between Shay and Calla and the visuals when on a rescue mission are stunning and moving and, really, just beautifully and precisely written. Thanks for not spoiling Wolfsbane, it sounds delish!